Some interesting news from D2 Technologies about them showcasing their mCUE™ converged communications client with embedded VoIP for Android at OESF Japan. I should point out that D2's mCUE mobile convergence software solution combines a communications user interface with the company's vPort MP VoIP software platform and is targeted towards OEMs and service providers to help deliver integrated Fixed Mobile Convergence (FMC) and Unified Communications (UC) functionality. At OESF they will demo how mCUE can enable VoIP, video chat and other IP communications capabilities in stationary Android-based embedded equipment and consumer electronics devices. With mCUE, these devices can offer premium multi-service unified communications capabilities and deliver simultaneous interoperability with any communication service provider, Instant Messaging (IM) community or social networking platform. 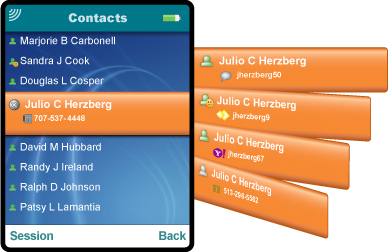 All popular communication modes are converged to a single communications user interface (UI), including circuit switched voice (PSTN or cellular), VoIP, Instant Messaging (IM), SMS and video chat. Santa Barbara, CA -- July 28, 2009 -- D2 Technologies, the market leader in embedded IP communications software platforms, today announced that it is demonstrating its mCUE™ converged communications client for Android-based devices at a seminar designed to promote the adoption of Google's Android operating system beyond mobile phones, sponsored by the Open Embedded Software Foundation (OESF). The free seminar is being held on Wednesday, July 29 from 1:30-5:30 p.m. at the BERUSARU Nishishinjuku 1F Hall (Nishi Tokyo), formerly known as the Sumitomo Nichishinjuku Park Building in Tokyo, Japan. Product showcases are scheduled to begin at 4:30 p.m.
During this demonstration, D2 will show OEMs and ODMs how embedded software products such as mCUE can enable VoIP, video chat and other IP communications capabilities in stationary Android-based embedded equipment and consumer electronics devices. With mCUE, these devices can offer premium multi-service unified communications capabilities and deliver simultaneous interoperability with any communication service provider, Instant Messaging (IM) community or social networking platform. All popular communication modes are converged to a single communications user interface (UI), including circuit switched voice (PSTN or cellular), VoIP, Instant Messaging (IM), SMS and video chat. mCUE includes D2 Technologies' carrier-class vPort MP VoIP platform that is completely integrated into the Android framework, Linux kernel and hardware platform BSP. "The OESF's goal of 'Android Anywhere' will facilitate the expansion of the Android platform beyond mobile phone applications to many different embedded applications and consumer electronics devices," said Doug Makishima, vice president of marketing and sales at D2 Technologies. "As the industry leader in embedded VoIP technology, we are working closely with OESF members such as MIPS Technologies and RMI to develop and promote the adoption of IP communications and VoIP technology extensions to the Android framework for digital consumer devices. These include mobile internet devices (MIDs), DTVs, digital picture frames (DPFs), portable and home media players, and set-top boxes." "As a leader in processor cores for VoIP, MIPS Technologies is pleased to work with D2, a long-time MIPS partner and leading provider of IP communications software solutions, to make Android a viable platform for VoIP solutions," commented Art Swift, vice president of marketing for MIPS. "We see great potential in VoIP-enabled Android devices such as MIDs, netbooks and home media players. As we pioneer the effort to drive Android into new markets, it is critical that leaders like MIPS, D2 and other OESF members work together to develop and integrate the technologies that will make Android suitable for applications beyond mobile handsets." Developed by the Open Handset Alliance, the Android platform is a Linux-based software stack for mobile devices that includes an operating system, middleware and key applications. 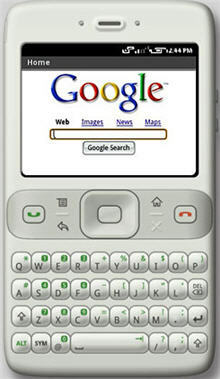 D2 Technologies was the first to demo a complete communications interface, mCUE, on the HTC G1, the first commercial smartphone to market running on the Android mobile operating system.